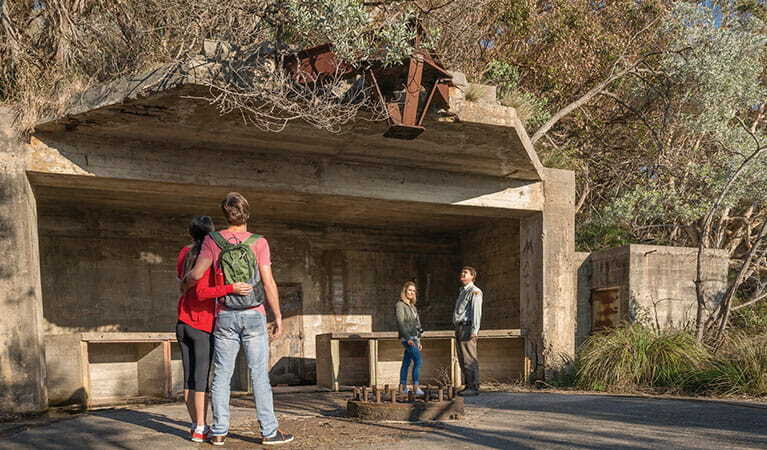 Discover the military history of Port Stephens on a guided tour of the historic gun emplacements at Tomaree Head in Tomaree National Park on the north coast of NSW. You'll need to take Fort Tomaree walk to get here. If you’re interested in Australian military history, make sure you take the short walk along Fort Tomaree walk to Tomaree Head. 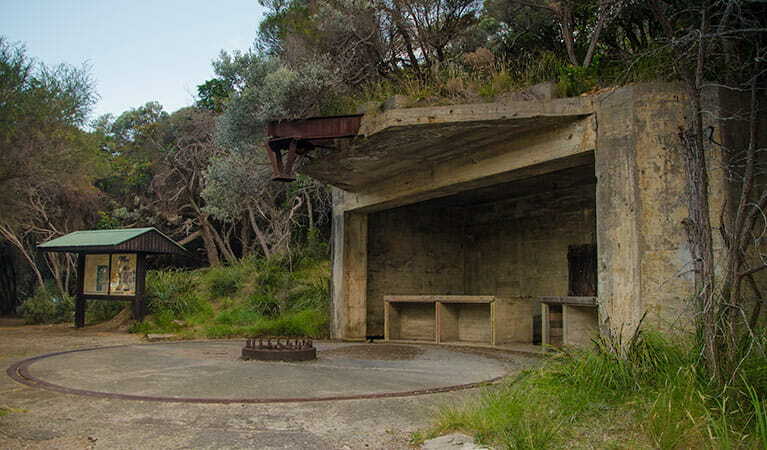 The headland, part of Fort Tomaree, played an important role in Australia’s east coast defence system during World War II. 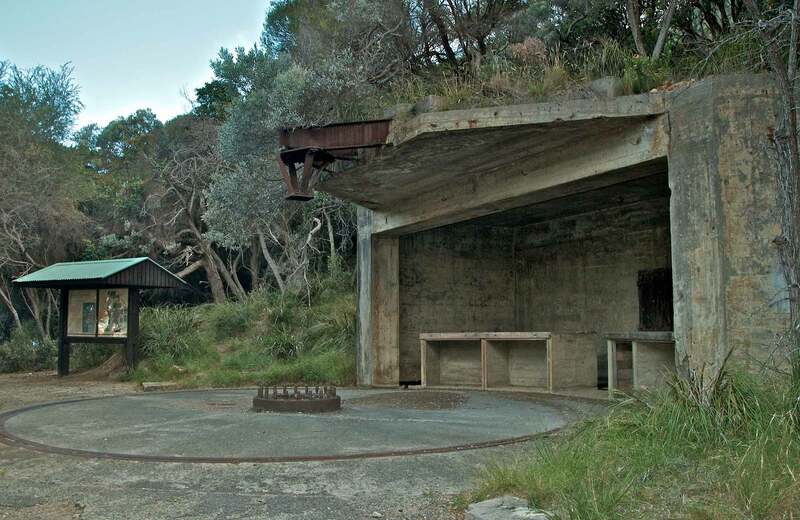 Fort Tomaree included search light stations, a radar tower, torpedo tubes and barracks, where around 500 army, navy and air force personnel served. Most of the Fort’s buildings and guns have been removed; however the historic gun emplacements remain, a visual reminder of Australia’s military history. It’s easy to see why this location was chosen – the headland features panoramic views of Port Stephens and the coast. If you’d like to find out more, check out the interpretive panels near the emplacements, or take a guided Discovery tour. On the way back to the car, take Tomaree Head Summit walk to the summit of Tomaree Head for a picturesque view of Port Stephens. Take a virtual tour of the World War II gun emplacements captured with Google Street View Trekker. Tomaree National Park is always open but may have to close at times due to poor weather or fire danger.